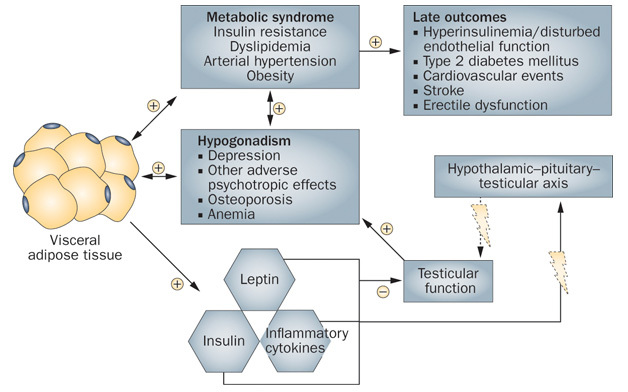 Metabolic syndrome is a new term gathering attention in the medical field because of its association with most common ailments prevailing in the society.People can be categorized as having metabolic syndrome only when they fulfill certain criteria that have been formulated by the ATP(Adult Treatment Panel-III),USA in the year 2000. 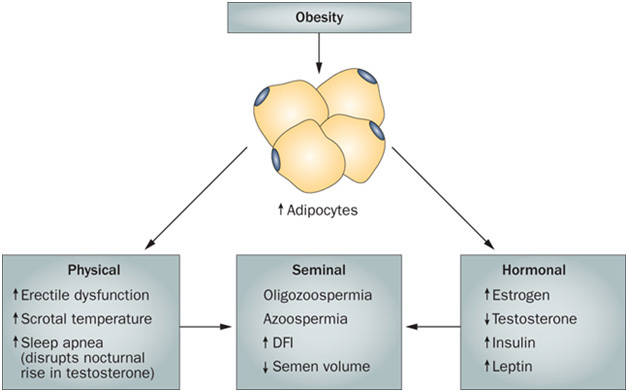 Metabolic Syndrome is believed to potentially affect many aspects of human physiologybecause of its systemic nature.Male factor infertility is also believed to be one such perturbation in some male patients with MetS. Obesity is a cardinal feature of MetS and is supposed to be one most prevailing cause for infertility based on the concurrent epidemics of obesity and infertility especially in men in reproductive age group. Diabetes most commonly the Non InsulindependantDiabetesMellitus(NIDDM)also affects the fertility aspects of the males in the reproductive age group in a similar fashion and compounds to the scenario. Dyslipidaemia also is proved to be one of the contributing factors to male infertility owing to the increased oxidative stress in the testicular microenvironment as well as the ductal system leading to increased sperm DNA damage.